Imprint Option: 1 color - Ad tissues are super useful! Your customers will appreciate your thoughtfulness when reaching for your prominently branded packet of eight 3-ply tissues. They really are something to sneeze about! Great for health care, schools, gift bags, conventions, funeral homes, associates, and more! 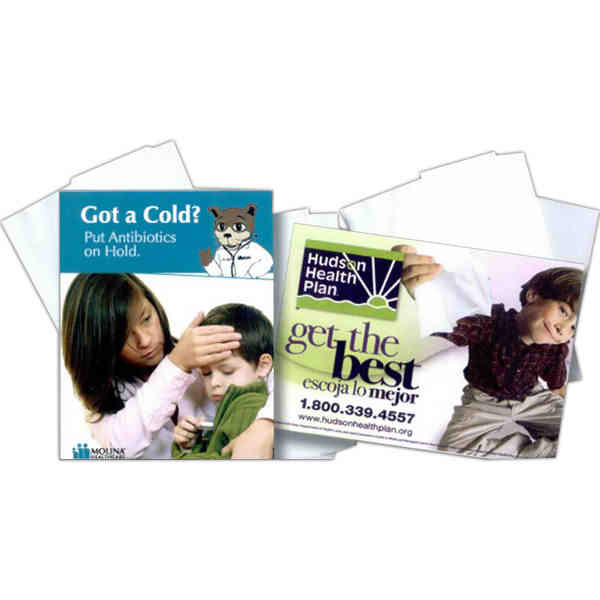 One-sided printed card inserted into each pack. Full color printing available. Packed 500 per case. Price per 500 packs.